Agrumaria Reggina was founded on 20th February 1985. The history of the company is closely bound to his founder’s history, Francesco Chirico who, through a path of vertical diversification and integration, diversifies his offer up to the current core business. 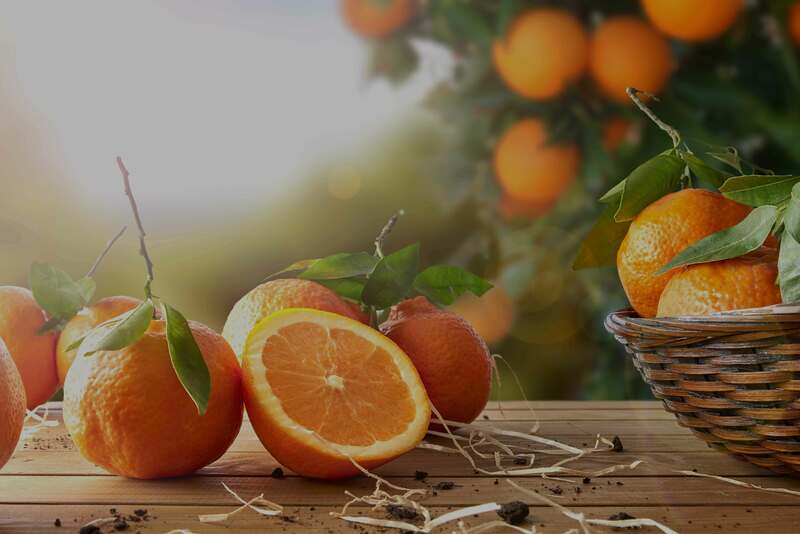 Indeed, since the Seventies the Chirico family is present in the food market thanks to the production and provision of packings necessary to the business companies of citrus fruits. In the 80’s his sons Paolo and Orazio, by making use of the relationships with the supply market, decide to start producing products (packings) complementary to the use of the exceptional fruits of their land, the citrus fruits, in order to target the Food & Beverage sector as industrial suppliers of concentrated juices. Initially, the production activity is limited to a first squeezing of citrus fruits, without achieving the concentration of the juice. Over the years, a process of integration was implemented inside the activity system, pushing the company downstream of the production chain. The first step is represented by the completion of the juice transformation cycle through the concentration, to achieve at the beginning of the second millennium the activity of blending of juices, aromas and other ingredients. The last step is the completion of the offer, by extending the range of products to compounds (aromatic preparations). Today, indeed, thanks to a careful and advanced R&D activity they have created all-in-one systems of ingredients allowing the development of highly customized beverages. This passage has requested a further investment effort by the company, in three directions. The first one, worldwide expansion started in 2001 with an internationalization process that saw the opening of 14 commercial venues form Europe to North Africa, Middle East and Asia. The second one, the impulse to production capacity through very significant investments with the extension of the production area from 10.000 square meters to a factory that to date counts 20.000 square meters with a possible extension of over 200%. The third and extremely important investment concerns the family-company bond, which has further strengthened with the third generation. Indeed, with the arrival of the last generation, both the internationalization process and the extension of the production capacity keep making Agrumaria Reggina a global company able to anticipate the market trends and provide its partners with more and more customized solutions for production and sale of juice beverages. Agrumaria Reggina is the Italian company specialized in providing customized solutions for the Food & Beverage Industry. We are specialists in the world of beverages and provide our partners with solutions to be leaders in their market. Customized solutions (aromatic preparations and emulsions). The Italian beverage solution is a Registered Trademark.